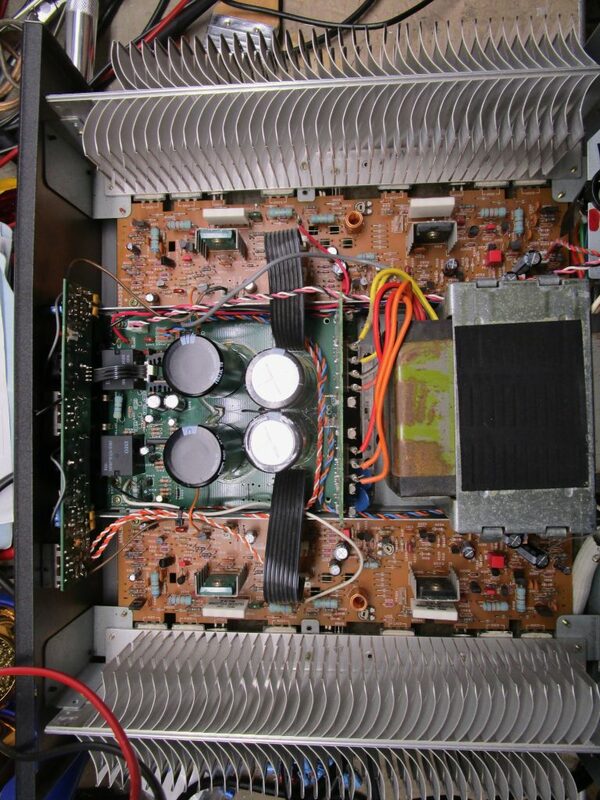 One of my favorite amplifiers to upgrade is the NAD 2200. I have done a number of these and often sold them in pairs or triples as they can be bridged for mono operation. 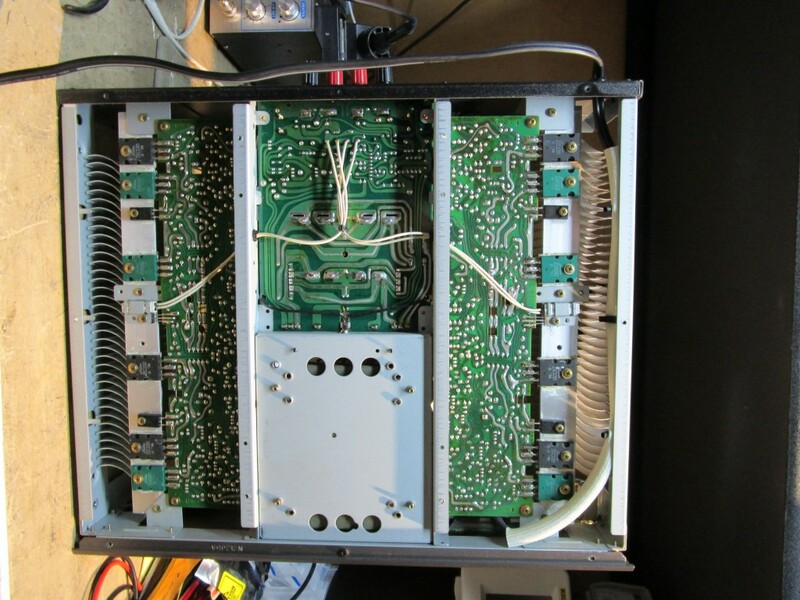 The upgrade involves replacing the relays and all the electrolytic capacitors, except the 120v 10,000uf pair, as there are no suitable replacements available that can fit the available space. Generally these capacitors are still within specification as they form part of the 95volt power rail that is only applied under high transient load. 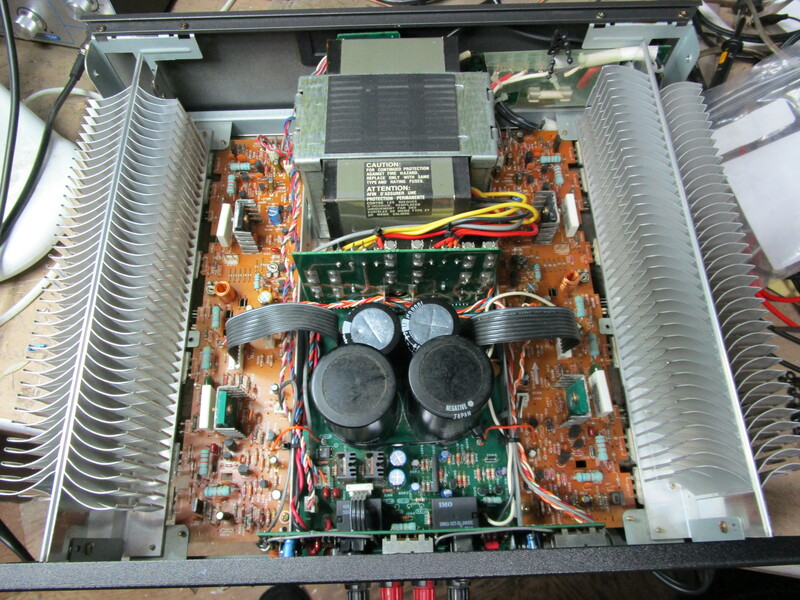 NAD cleverly have two supply rails a 60v and 95v, both of which drive the output transistors, with the 60v rail providing power under normal load, and the 95v rail under high transient load. This is how they get the extra 6db of headroom these amplifiers deliver. 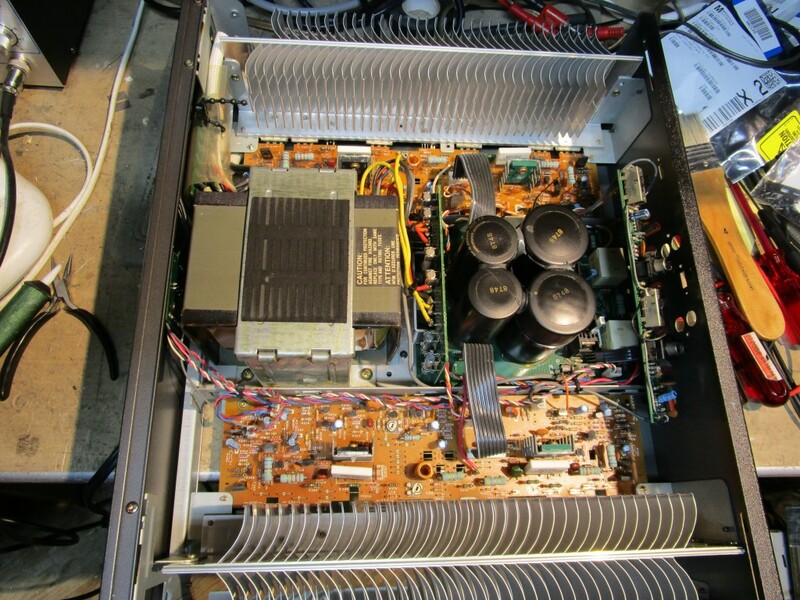 All the other electrolytic capacitors are replaced with audio grade electrolytics, or where required low impedance types. 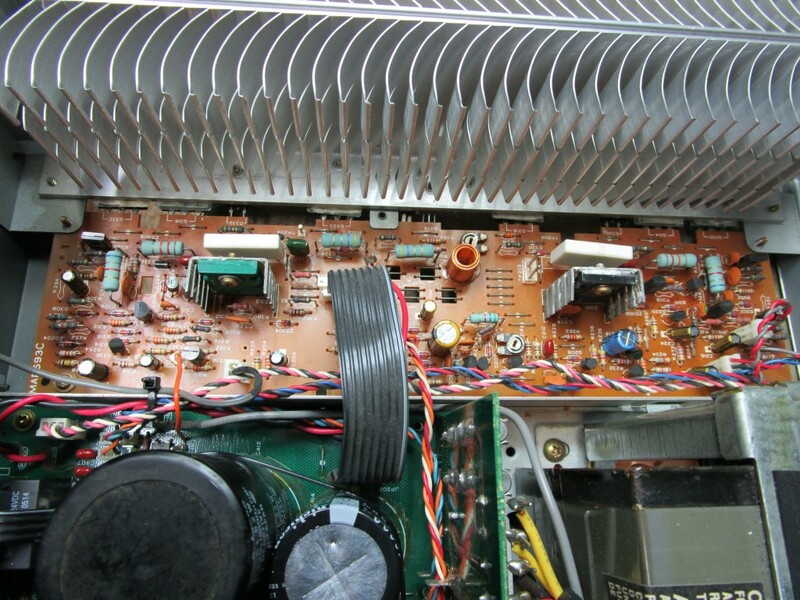 Some of the lower value electrolytics are replaced with film types as are some of the ceramic capacitors. Additional capacitance is provided at certain points in the circuit (input board rails and VAS). The input board for these amps comprises an IC for each channel and associated circuitry.The IC’s are significantly upgraded with modern types, which considerably drops the noise floor and gives a more open and detailed sound. The main issue with these units are the relays, which should always be replaced, to date I have only had one unit where the 10000uf 120v capacitors have not been within specification. More recently I have found a suitable replacement for the 10000uf 120v units, which I now include on all units. The new caps are rated 100v with 125v surge and as the rail voltage rarely gets over 90v they perform well. 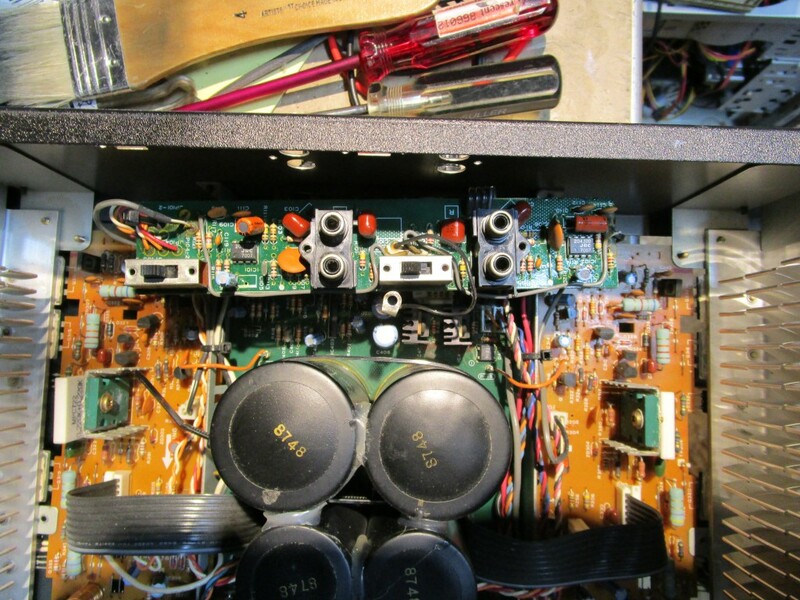 Of course all the voltages are checked and any out of spec components replaced, the amplifiers are then biased and aligned. These amps are very well built and designed. I have the front panels resprayed and screen printed with the original NAD logo and lettering and matching color. The result is a very clean sounding amplifier that builds on NADs already highly musical approach, delivering more detail, a wider sound stage and better noise floor. More details can be found in the Blog section of this site. 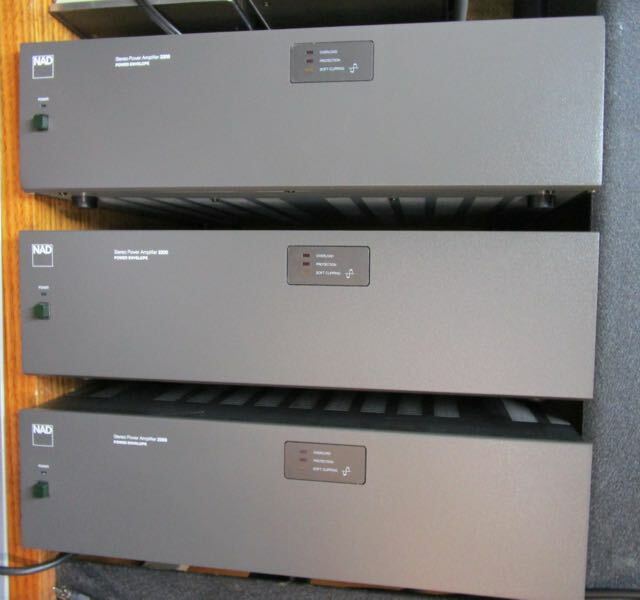 I regularly sell these units, so if you are interested please contact me peter@quirkaudio.com. I have also refurbished and upgraded these for their current owners, so if you are interested please contact me.